Our goal is to provide the best solutions for multiple mobile platforms: iOS, Android and Windows 8. 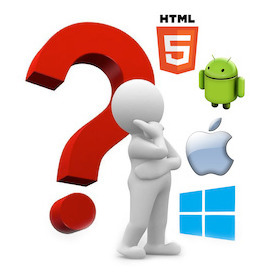 Apart from native apps, we offer several other services, such as the creation of mobile websites or HTML5-based apps. We are willing to assist our clients during the specification process and help them pick the optimal and most cost-effective scenario, while fulfilling all their needs. During the past 3 years, we have been developing mobile apps for several corporate clients in Europe, as well as our own apps and games. Our experienced and motivated team of talented mobile app developers and graphic designers is always looking for a new challenge.